*** Reduced Price *** Perpignan Domain with Maison de Maître 480m² on park, large winery with business potential, 8474m² of grounds, pool, tranquil environment, mountain views, central location and close to villages, sea, golf and Spain! Perpignan is the capital of the Pyrénées-Orientales department. It was the capital of the former province and county of Roussillon (Rosselló in Catalan) and is very much a Catalan city. With its sunny squares, good food and wine it makes a delightful place to visit. The Sanch (meaning "the Lord's precious blood") is a procession which takes place every year on Good Friday through the streets of Perpignan. It is a ritual dating from 1416 but was banned in the 18th century as being "too baroque" and was only revived in 1950. 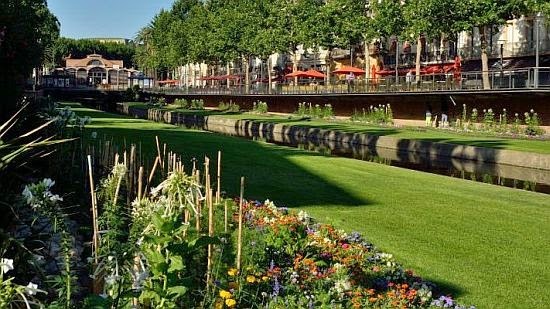 The climate and weather in Perpignan due to its situation in the Mediterranean, offers one of the best and sunniest climates of the whole of France - there are more than 300 days of sunshine per year! 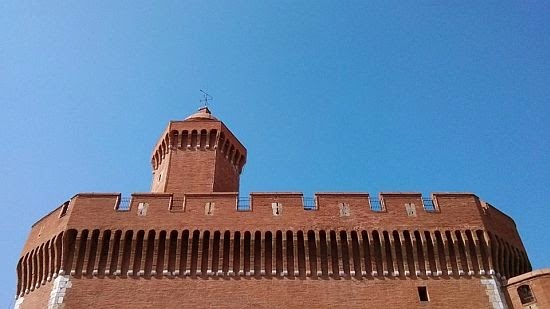 Perpignan and its region are attractive all year round. The Villa Duflot welcomes you to its special atmosphere, both warm and relaxed. Just a stone's throw from the shops with a beautiful country backdrop and close to the sandy Mediterranean beaches. Restaurant review March 2011 - Restaurant La Salamandre, Sorède - Delicious! Contemporary furniture, mouldings and prettily laid tables create a tasteful decor. Market-sourced southern French dishes. Fine regional wine list. Pleasant restaurant in old Perpignan decorated with objects purchased from nearby antique shops. Catalan cuisine. No smoking inside the restaurant. At the centre of the village, regional fare and friendly service in a rustic dining room painted in bright yellow colours. Small rooms with Catalan furniture. Bright dining room painted in attractive pastel colours with artworks on show. Classic cuisine made from regional produce and a fine wine list. Tasty seasonal cuisine, based on reinterpreted local specialities. Terrace veranda. A wine-inspired restaurant located in a former wine cellar, hence its name. Fine Côtes-du-Roussillon wine list. Updated regional cuisine. 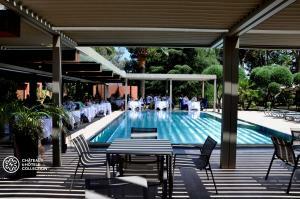 Les Palmiers is known for its friendly staff and carefully prepared modern cuisine. Mediterranean fish and seafood washed down with a good choice of Roussillon wines. Regional specialities are served in the modern dining room decorated with house plants and a fireplace or on the pleasant teak deck. Quiet patio to the rear. The cathedral of St. John the Baptist was begun in 1324 and finished in 1509. The 13th century Palace of the Kings of Majorca sits on the high citadel, surrounded by ramparts, reinforced for Louis XI and Charles V, which were updated in the 17th century by Louis XIV's military engineer Vauban. The walls surrounding the town, which had been designed by Vauban, were demolished in 1904 to accommodate urban development. Saint-Cyprien golf club has a great setting. It's half a mile from the stunning beaches of the Mediterranean, a few miles from the Spanish border, and within sight of the Pyrenees. It also has great facilities, including two pools, four tennis courts, a lake, a 4-star hotel (Hotel Le Mas d'Huston Spa and Golf), top class restaurant, and comfortable apartments.